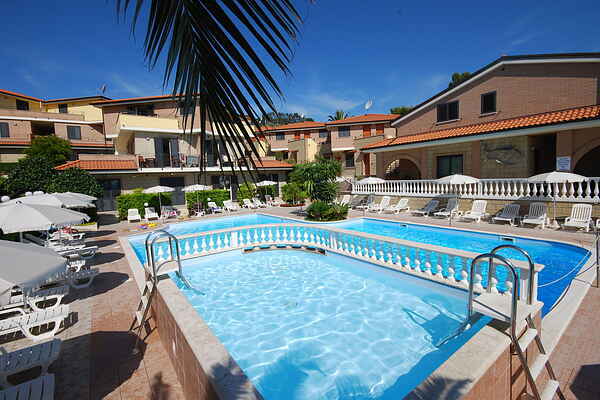 Residence Il Borgo a total of 47 apartments set in a lush garden filled with palm trees 50 meters high and 800 meters from the beach and the sea. The apartments are simply but tastefully decorated. Appartement Tortoreto Trilo is on the ground floor or first floor Tortoreto is considered aristocratic and elegant because of the many villas in liberty style and plenty of lush greenery. There is a 3 km wide and well maintained beach with a promenade with trees and a bike path. From Tortoreto Lido you can with a road through olive groves to Tortoreto Alta, a medieval hamlet 227 meters above sea level up. The location is stunning with a unique view of the coast, the valleys of Salinello Vibrata and the Gran Sasso. Internet wifi only available in common areas. The house is suitable for 4 adults and 2 children under 14 years.